Unfortunately I didn’t get a chance to review the round last week (or post predictions). I’m putting this here as a placeholder for brevity so that I have the ratings showing for anyone interested. 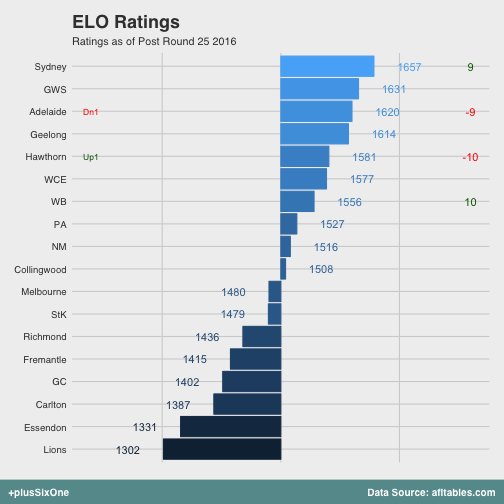 For the record, based on these ratings my system tipped Sydney by 2 points (51% chance of winning) and the Giants by 25 points (64% chance of winning).